Feng shui is all about good energy, and this energy is welcomed (or repelled) by many factors inside and outside your home. The main house magnet for good energy is your front door because it is through the front door that the house absorbs most of the energy it needs so that is can nourish your energy. This makes it very important to have a front door with strong and auspicious feng shui energy. 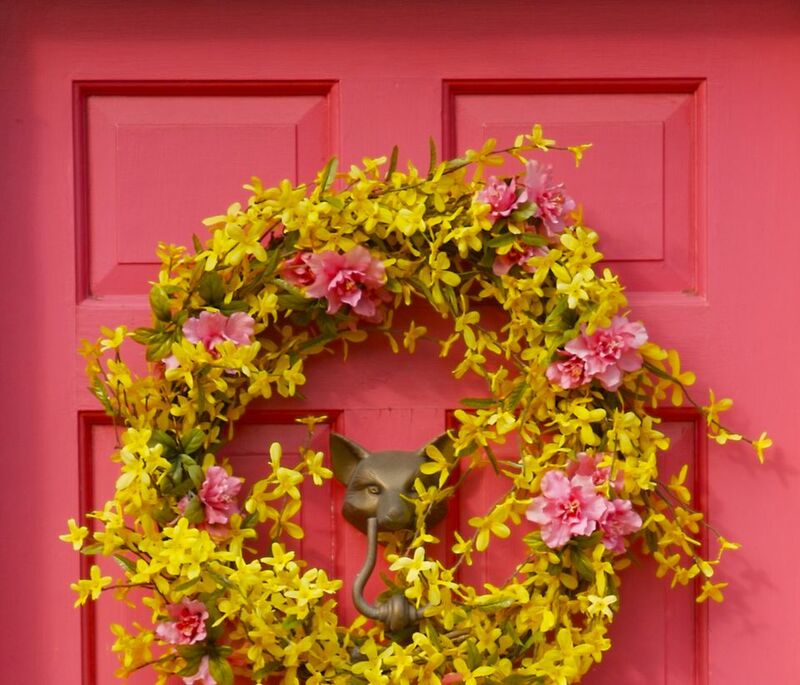 How do you create a front door with good feng shui to attract good Chi—to come into your house? It is not that hard, and all it takes is a clear intention plus some time and effort. The easiest way to create a strong feng shui front door is to find the appropriate feng shui design for it—be it in colors, shapes or materials. The best feng shui design is the one that nourishes the feng shui element that corresponds to the direction your front door is facing. For example, if you have a South facing front door, you will focus on nourishing the fire feng shui element that "governs" this direction; if North is the direction of your front door, then attention is needed to nourish and strengthen the water element of the North. The right choice of color is one of the easiest steps, feng shui-wise, to strengthen the feng shui energy needed for your specific front door. We say specific front door because in feng shui the energy of the door is determined by its facing direction, so there are 8 different guidelines for front doors that face each of the 8 directions. You can read more about the feng shui bagua and its specific directions if this sounds too confusing. A Southwest facing door is a door with the compass reading from 202.5 to 247.5 (here's how to take the compass reading of your front door). The feng shui element of the Southwest direction is Earth, and the corresponding feng shui bagua energy is the energy of Love & Marriage. In case of a Southwest facing front door, there is one more feng shui element that you can use for an additional choice of colors. The element of Fire is nourishing for the Earth element/creates it. Thus the Fire element colors are also good for a Southwest facing the front door. Avoid the following colors for your Southwest facing front door: green, brown, white, gray, blue and black. These colors represent the elements of Wood, Metal, and Water that are destructive/weakening for the Earth element of the Southwest bagua area (according to the five elements destructive cycle. If you can easily repaint your front door, then all this info should sound good to you.